MRI: How much does it cost? My health plan has a $5,000 deductible and my doctor just told me I need an MRI. How much is this going to cost? The cost of an MRI depends on where you live, the negotiating power of the provider who administers the scan and your insurance provider. According to this study released by Medicare, the average cost of an MRI is $2,611. However, Underwood Memorial Hospital in New Jersey reported an average of $13,259 for an MRI and Northbay Medical Center in California reported the average cost at $9,766. So, this average number isn't something to bank on (pun intended). 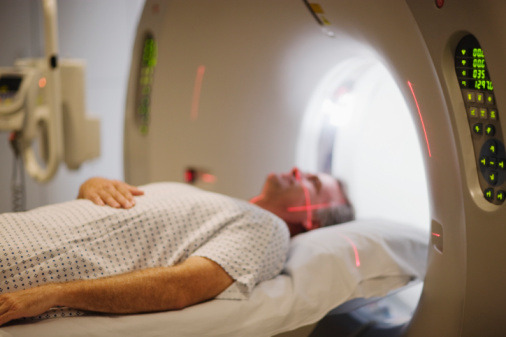 It may seem like all MRIs should cost the same, but as we’ve seen from pricing a gallbladder removal and an ultrasound, health care prices can vary drastically. In fact, the reason it’s so hard to get low cost health insurance is because of a lack of price transparency—meaning it’s really hard to figure out the prices. If a doctor ever tells you that you need an MRI (or any procedure for that matter), your first question should be, "How much does it cost?" If you are very fortunate, your doctor may be able to tell you or help you speak to the billing department. But most likely, you'll find your experience similar to Martha Bebinger's. "But I followed my doctor's advice, called Newton-Wellesley Hospital and asked for the price of the test. My doctor didn’t know, I got transferred to radiology, I got transferred to billing. Billing said they would call me back. They didn't. I couldn't even get a ballpark estimate." Sound familiar? Bebinger ended up getting her MRI at the hospital and received a bill for $7,468. Talk about an unwelcome piece of mail. The best way to figure out how much an MRI is going to cost is to first look up the fair price on Healthcare Bluebook. According to Healthcare Bluebook, "The cost of certain in-network procedures can vary by over 400%. The biggest factor driving cost is where the care is provided." This fair price dictates your next step. Next, you'll want to start calling different hospitals and outpatient centers with the technology. Give them your insurance information (or let them know if you don't have insurance) and the type of MRI your doctor ordered. Again, the cost will depend on where you live, whether or not you have health insurance, your insurance company's negotiated rate and the provider. Lastly, compare the prices and make your decision. Asking, "How much does an MRI cost?" is similar to asking, "How much does a shirt cost?" The cost depends on many variables. However, it's important to note that the "you get what you pay for" cliché doesn't hold up in the medical field. Prices are largely based on the provider's negotiating power with insurance companies. You may not want to purchase a $1 shirt at Goodwill for that big job interview, but you should certainly try to get the most affordable price for an MRI. Health insurance can be confusing and there is a lot of conflicting information available. Our mission is to be your most trusted advisor when you navigate these difficult scenarios. We'd love to answer your questions. We look forward to hearing from you! And as our teachers told us, there are no stupid questions. If you enjoyed this post, you may also like Gallbladder removal: How much does it cost?